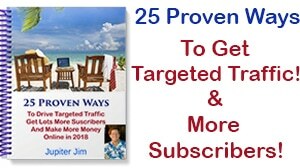 These are the exact same tools and resources I use to build and market JupiterJim.CLUB and JupiterJim.com and the WordPress websites that I build for my clients. If I don’t use a certain tool (for whatever reason), you can be sure that they are being used by my WordPress mentors — or I wouldn't recommend them. So, in other words, everything on this page has been thoroughly used, tried, tested, investigated to the best of my ability. Some links lead to free products and services. Some links are affiliate links that allow me to keep bringing you great videos and blog posts month after month, year after year. I SINCERELY THANK YOU for clicking on those links to buy the best products I have found anywhere! you WILL be SUPPORTING this Website! I want to Thank You All for your faith in and support of this blog! 1. A Content Management System (CMS) for self-hosted websites and blogs. WordPress.org — WordPress is web software you can use to create a beautiful website or blog. We like to say that WordPress is both free and priceless at the same time. 3. A Domain Name (about $12 per year). Thesis Theme 2.2 — is my all time favorite WordPress theme (sometimes called a Framework) . Easy to customize, even for the beginner! Yet, used by tons of professionals. Genesis — is also an excellent WordPress theme (or Framework). There are many supported Genesis “child themes” that allow you to have a beautiful WordPress website or blog up and running in no time. 5. 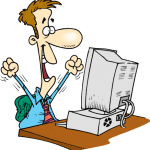 An Email autoresponder for building your email list! ($19 per month to start). Aweber is the best! Check out their 30-day trial for FREE! I have used them for years! Great customer support. 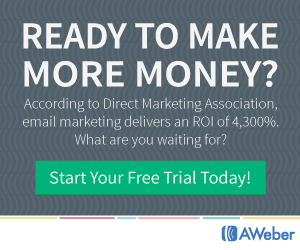 I am on the mailing list of many of the top Internet Marketers in the world and it seems like 94% of them use aweber. Next time you get an email from a TOP Internet marketer, check and see what company they are using in the “from:” section — you will probably see “aweber”! My absolute favorite is 1shoppingcart.com Try them FREE for 30 days! Minimum monthly fee is about $35. If you are small and just starting out and don’t want to pay any monthly fees, then I would recommend PayPal. WP estore — is also a great plugin for selling digital products (ebooks and audio files, for instance) and simple physical products and it’s only about $49 for a one-time fee. Thesis Theme for WordPress is a theme and a framework. You can customize the Thesis Theme yourself, OR you can simple install a Thesis Child Theme and Your Thesis Theme will suddenly look like you paid a designer $2,000 to $3,000 to build your site. Here are some great resources for purchasing Thesis Theme Child Themes (after you have purchased the Thesis Theme framework). Thesis Theme – this is what JupiterJimsMarketingTeam is running on. Always my first choice! Themedy.com – Matt and Mark Hodder are two Thesis Theme gurus endorsed by Chris Pearson, creator of the Thesis Theme! Studiopress.com — To purchase the Genesis Theme and Child themes. Aweber Autoresponder – one of the best email autoresponders and list builders on the market: incredible deliverability rate, unlimited lists, unlimited messages, customization, etc. MOZ.com – Some MAJOR SEO Tools! They also have FREE tools to help you optimize your local business listings, track your social media performance, conduct link research, access SEO metrics for any page, and more. They also have dynamite premium tools for keywords and more. Goes way beyond simple keyword research with competition research, rank tracking, domain research, and more. Google Keyword Tool – you can research your keywords by topic or your competitor’s website. It’s mostly helpful when deciding on what keywords to use for your AdWords Campaign, but can be used for regular keyword research as well. I get asked a lot what kind of plugins I use on my blog, thus I decided to add them to my list of internet marketing tools. CommentLuv Premium – Adds CommentLuv links to comments, protects you from spam, encourages twitter followers, adds keywords to names and increases traffic and community. WP Edit PRO Text Editor — for changing font size and family (and so much more) in your WordPress blog posts and pages! Black Studio TinyMCE – This plugin adds a WYSIWYG text widget based on the standard TinyMCE WordPress visual editor. This is intended to overcome the limitations of the default WordPress text widget, so that you can visually add rich text contents to your sidebars, with no knowledge of HTML required. Fast Secure Contact Form — It’s Free and it works great! Gravity Contact Forms — It’s not FREE but all the pro’s use it and recommend it. Backup Buddy — Pretty much the industry standard for backing up, restoring and moving WordPress blogs and websites. BackUpWordPress — will back up your entire site including your database and all your files on a schedule that suits you. Here’s my blog post with my list of free and premium royalty-free images. Statcounter.com — My hands down favorite! It does cost about $5 per month but I just think the stats are easier to read and access. Google Analytics – I use Google Analytics AND statcounter.com . What I love about Google Analytics is that is stores your entire websites statistics from day 1 when you start tracking your stats until the present day. It’s more or less and industry standard and it’s FREE! Camtasia Studio – This is the software I use to produce all of my WordPress Video Tutorials. It’s the best. Spybot Search & Destroy — Spybot Search & Destroy is a free antispyware utility that targets adware, malicious code, and other threats. It also cleans security tracks, shreds files, and tweaks the Registry. malwarebytes — Crushes malware. Restores confidence. Because your antivirus software alone is not enough. Teamwork PM Project Manager — Easy to use online teamwork and project management. Linkman — Integrating with the latest versions of Google Chrome, Firefox, Internet Explorer, and Opera browsers, Linkman gives you the power to efficiently organize bookmarks and favorites! Linkman is a standalone, browser independent bookmark organizer, search tool, and dead link checker.